Today, B.T. 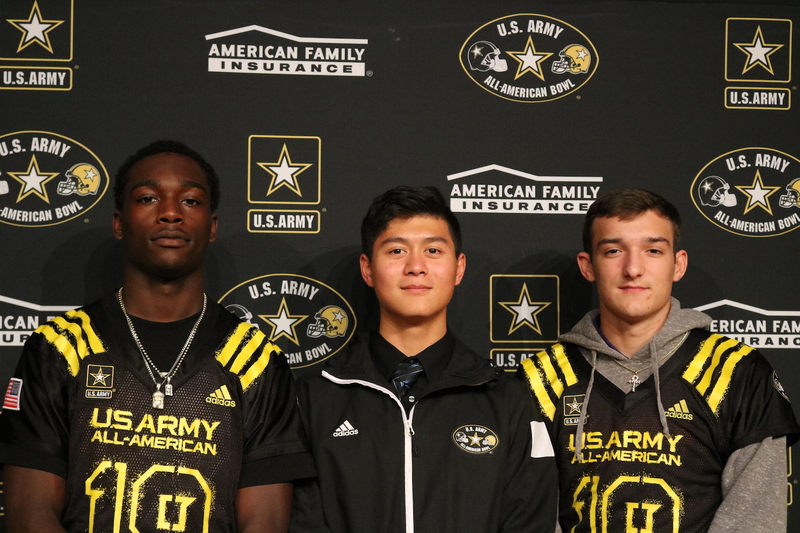 Potter, Derion Kendrick, and Matthew Binford received their jerseys from the Army All American representatives. Derion Kendrick poses with the Army All-American representatives after being given his jersey. 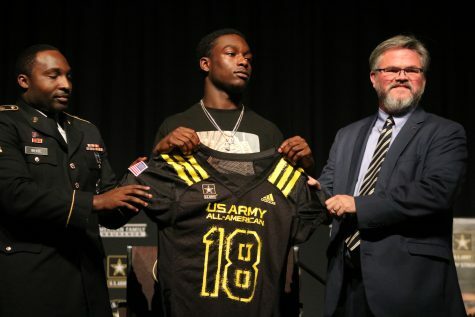 The Army All American Bowl recognizes the top 100 football players in the country and invites them to play in San Antonio, Texas for the game. 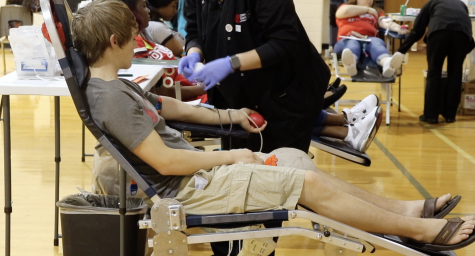 In addition, they chose the top 125 band members in the country and invite them to play in the halftime show. 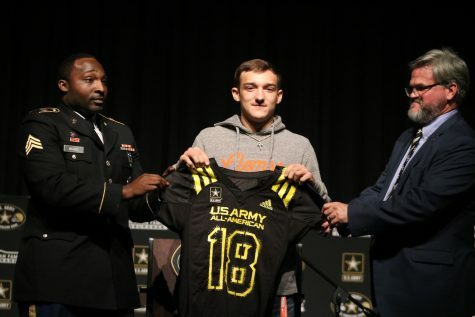 BT Potter is given his jersey for the Army All-American Bowl game. Potter and Kendrick are very humbled to get the opportunity to play on this big stage. Not only does the Army All American Bowl game showcase some of the nations top high school prospects, it also showcases some of the best musicians. “The Army selects the top high school football players, and they’ll have the Army Bowl in San Antonio. In the middle of that, you have the band halftime show, so people all across the nation audition for the top 125 spots in the band. I submitted three separate video submissions and that’s how you audition,” Matthew Binford states in regards to the application process of being nominated to perform at the bowl. 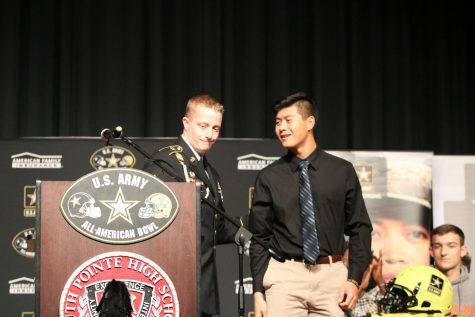 Matthew Binford is brought to the front of the stage for being awarded as one of the band members who will play in the halftime show during the Bowl game. Matthew Binford was also recognized as one of the best trumpet players in the nation. He says that when he found out, he was very astonished that he was selected. Potter, Kendrick, and Binford are all appreciative of the opportunity given to showcase why they are one of the top players and musicians in the country.